The Albany storm water utility would seek to collect a fee to manage facilities like this. 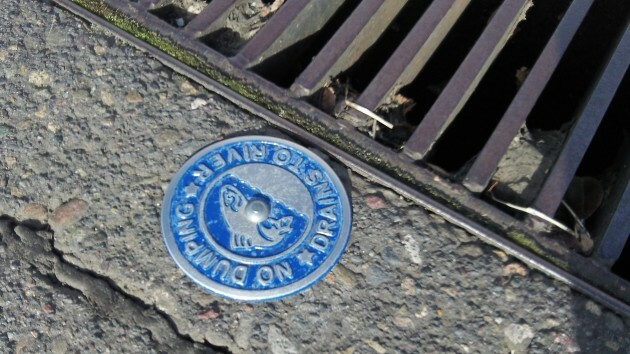 Albany’s plan to impose and collect a fee for storm water management — a rain tax, as I’ve called it — is being clouded by legalistic hair-splitting. So let’s try to lay it out straight. For about a year the city council has been holding meetings to prepare for the enactment of a fee to raise money for the storm water system, which is currently funded from the street and sanitary sewer funds. With that in mind, the council on April 13 adopted an ordinance creating a storm water utility. North Albany resident Tom Cordier filed a referendum petition against this utility ordinance. The city attorney’s office wrote a ballot title. Cordier doesn’t like the title and may challenge it in court. I don’t know why he doesn’t like it. But I can see at least one big reason. The city attorney’s summary makes it appear as though the ordinance has nothing to do with the forthcoming rain tax. “The creation of the storm water utility does not establish a new fee or tax upon citizens or customers,” the summary asserts. But that’s the purpose for which the staff prepared and the council adopted it. It’s true that the actual levels of this charge have not been adopted, or even spelled out publicly by the city staff, and that the council plans to set the rates with a separate resolution. But it is misleading to claim in the referendum ballot title that the ordinance does not establish a fee. It certainly lays the groundwork for establishing a fee, and without the ordinance the authority to establish a fee would be lacking. The council doesn’t need a storm water utility to raise money for the drainage system. It could jack up sewer rates to fund the necessary expense. And there are sound reasons — fairness to different-size contributors of runoff is one — to do it via a utility instead of with regular sewer rates. But the city should not try to kid anyone that imposing a storm water charge is not the driving force behind the utility approach. One other wrinkle: Cordier says he wants to give people a chance to force a vote, via a referendum, on the fee once its details are known. So he offered the council a deal: Promise to enact the fees via a legislative ordinance rather than a mere resolution and he’ll drop his current referendum. Because, as he has found out from two recent court decisions going against him in regard to urban renewal, only “legislation” can be referred, while administrative decisions can’t. But the city attorney, Jim Delapoer, told the council that setting the storm water fees will count as an administrative action whether it’s taken by ordinance or resolution. So the rates will be immune to anybody trying to refer them to the voters. Reality check — stormwater discharge regulation has been a way of life in the industrial world for years. Building a permit for a site is relatively easy. We took care of it. 2nd reality check — stormwater regulation of municipalities isn’t so easy. Well, it could be if folks would talk about solutions and keep their pointing fingers holstered. TC’s approach doesn’t benefit the commonweal. The actual rain tax Ordinance #5869 is available on the citys website. Remember when the Council asked for $20M to replace a fire station and build a new police building without any other details—just give us a blank check??? Measure failed. This Ordinance has the same smell. Without knowing any new compliance requirements or costs- the Council wants a blank check to impose a service charge (fee) “on all persons or premises that contribute to the stormwater system (SWS) or that otherwise use or benefit from SWS”. Voters/taxpayers will have no voice/vote when the fee structure is established by the Council. The Council will be allowed to place a new service charge on your water/sewer bill at any time even before new mandatory requirements are established. Repeal the rain tax because it is not good for the commonwealth. It’s obvious that you don’t like the city’s plan to meet a regulatory requirement. #1 – Correct — It is *very* clear. What about properties that are in the City but all the water from those properties runs into road side ditches maintained by the county and then into the river? Seems as though those people would be charged for something they would not be using! Fair? Don’t think so. to Centrist–can you show me the regulatory requirement not being met?? the city doesn’t have any new requirements–they have not been issued yet. There is no plan because there are no new mandated requirements. this is a solution in search of a problem. The City has a plan in hand to respond effectively to a rule that’s still being defined, but will be promulgated. You object to having a plan before promulgation. to centrist et.al. There can be no plan to meet unknown requirements. the plan so far is to create a new department–which we are being asked to fund and we don’t know what they will need to do. Struggling with this one. Government over-reach. Supposed climate change. An unknown fee towards what… unknown needs. It is rather impressive for this town, largely located in Linn County to attempt heading something off at the pass. You know, get ahead of the curve. Dare I say, progressive! This has nothing to do with climate change. NPDES and Stormwater Discharge regulation have been a part of industrial regulation for many a year. The concept is that there are downstream consequences for the contents of a site’s discharge. I’m not aware of any resistance by members of the PUBLIC to regulating industrial discharge. I find the resistance to regulation of a municipality’s discharges puzzling indeed.